At the meeting with Jason Greenblatt, Trump’s special envoy for the peace process, the two “reaffirmed the joint commitment of both Israel and the United States to advance a genuine and lasting peace between Israel and the Palestinians that strengthens the security of Israel and enhances stability in the region,” according to a statement by the Prime Minister’s Office. The two men discussed Israeli settlements “in the hope of working out an approach that is consistent with the goal of advancing peace and security,” the statement read. 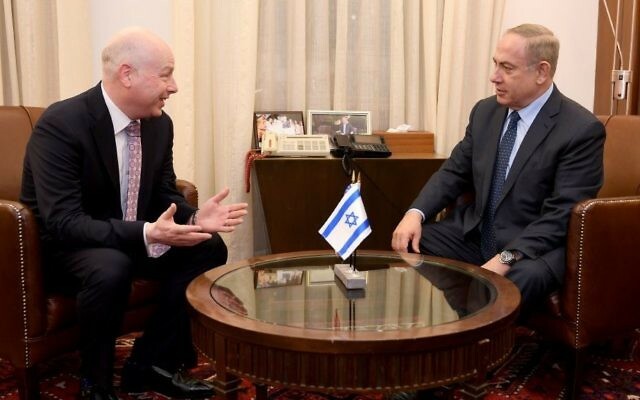 Greenblatt is to meet with Palestinian Authority President Mahmoud Abbas on Tuesday as part of an attempt to broker fresh peace talks after years of stagnation. In a phone call on Friday, Trump invited Abbas to the White House in the near future. In meeting w/ @IsraeliPM @netanyahu, discussed regional situation, how progress towards peace with Palestinians can be made & settlements. 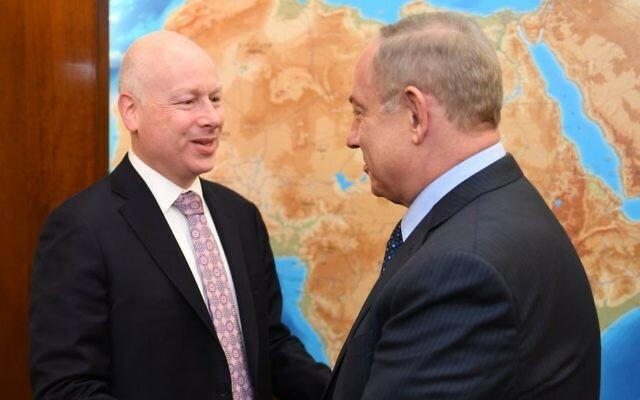 Greenblatt’s visit marks the first major attempt by the new US administration to address the Israeli-Palestinian conflict, after two months that have seen officials dither on support for the two-state solution, the location of the US Embassy and opposition to building in settlements. 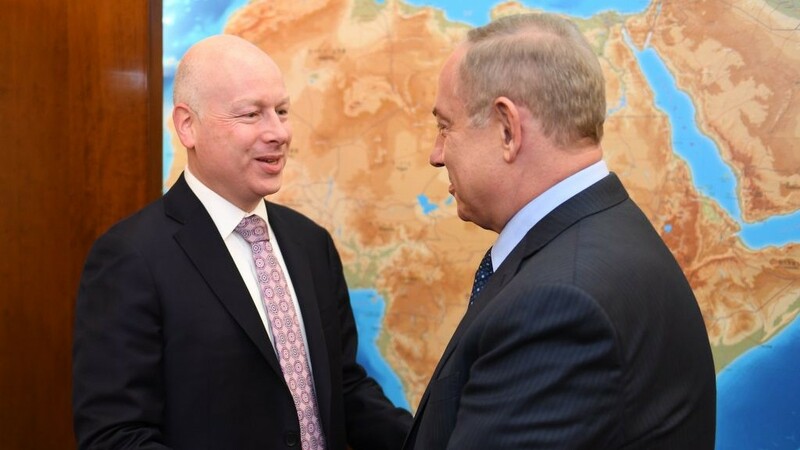 The goal of Greenblatt’s visit was reportedly to formulate the Trump administration’s position on settlements, including what the US will accept in terms of where and how much Israel can build. “I characterise it as the first of what will become many visits to the region,” Toner added. He said that the issue of settlements would be discussed. “We see them as a challenge that needs to be addressed at some point,” Toner said. 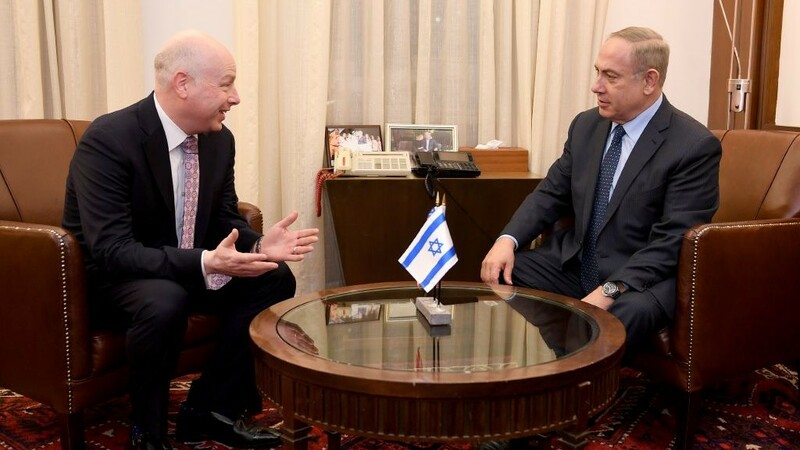 In his upcoming meeting with Abbas, Greenblatt won’t be bringing new proposals, PA Foreign Minister Riyad al-Maliki said on Sunday, while adding that Tuesday’s meeting would focus on planning for Abbas’s trip to Washington. Channel 2 quoted Israeli officials Sunday expressing satisfaction that the Trump-Abbas call had gone well, since, they said, Israel supports a resumption of negotiations without preconditions. During his visit to Washington last week, Defense Minister Avigdor Liberman was told by administration officials that the new US leadership was seeking a two-state deal, dispelling lingering doubts in that regard, Channel 2 reported. 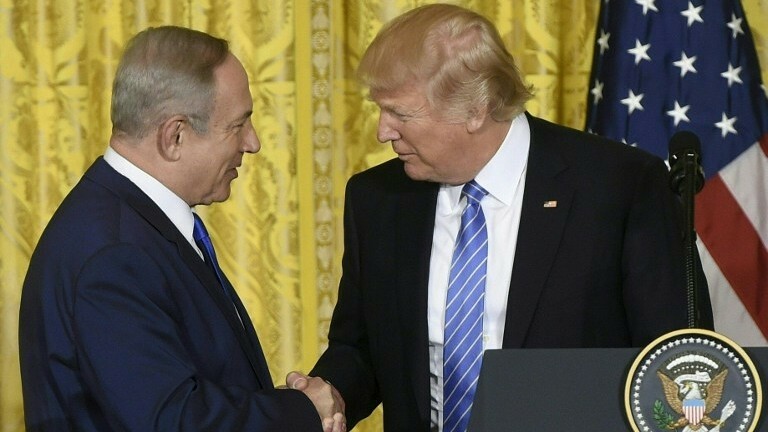 At a joint press conference with Netanyahu on February 15, Trump said: “I’m looking at two-state and one-state, and I like the one that both parties like,” leading to speculation concerning Trump’s commitment to the two-state solution. The US administration is currently said to be weighing how to proceed with a renewed peace effort after Abbas’s imminent visit to Washington. One possibility being considered is a regional summit, to be held in Egypt or Jordan. 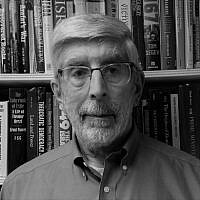 If such a summit would be substantive, rather than a mere photo op, Trump would be prepared to attend, sources close to the president were quoted by the Hebrew daily Yedioth Ahronoth on Sunday as saying. The White House is trying to ascertain whether the Saudis can be drawn into this process, the newspaper said. Trump intends to visit Israel in the first year of his presidency, the paper reported, and might combine the trip with a summit of this kind. Alternatively, Trump may invite Abbas and Netanyahu to the White House, to announce the resumption of direct talks. Editor’s Note: An earlier version of this story erroneously included that Abbas said Trump had expressed commitment to a two-state deal, based on a Palestinian transcript of the speech.